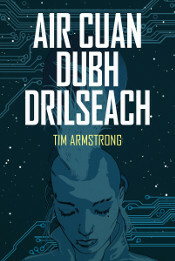 Nuair a bha mi ag obair air ACDD, bha leth-bhreac de The Algebraist le Iain M Banks ri taobh mo leapa agus chleachd mi an nobhail aige mar reul-iùil dhan sgrìobhadh agam fhìn. ’S e The Algebraist an leabhar as fheàrr leam le Banks. Is toil leam am ficsean saidheans aige air fad, agus is toil leam na leabhraichean ficsean-litreachail aige cuideachd, gu sònraichte The Crow Road agus The Wasp Factory, ach dhomhsa dheth, tha The Algebraist a’ seasamh a-mach thar càch. Saoilidh mi gur ann anns The Algebraist a chìthear mac-meanmna ainmeil an ùghdair ag obair aig àrd a chomais, agus tha an sgrìobhadh gu sònraichte làidir ann cuideachd. 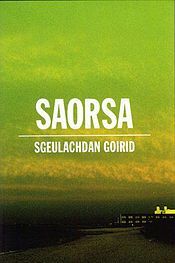 Tha an sgeulachd làn na h-àbhachd dorcha leis an aithnichear Banks, agus air a h-innse ann an rosgrannan a tha cho soilleir ri glainne. 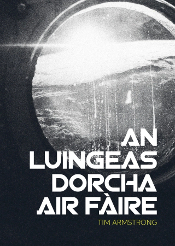 Fhad ’s a bha mi ag obair air ACDD, thàinig mi air ais do The Algebraist uair agus uair, a’ faighneachd orm fhìn, an robh na rosgnannan agamsa a’ tighinn faisg air an aon soilleireachd? Tha mi a’ caoidh na naidheachd gun do chaochail Banks, an toiseach, mar leughadair, a chionn ’s gun do chaill sinn cuideigin cho tàlantach cho garbh òg, ach cuideachd, mar sgrìobhadair, a chionn ’s gun do chaill mi gaisgeach.